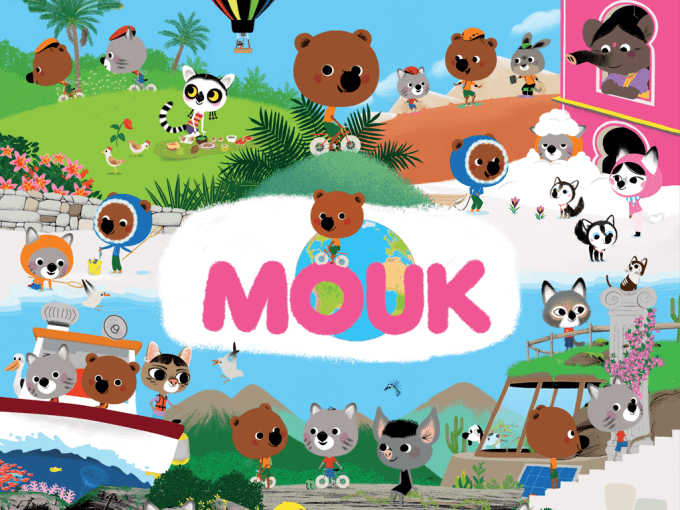 Mouk is a curious and adventurous little bear, who is accompanied by his best friend Chavapa. He loves getting on his bike to travel the world, visiting the most famous towns and capitals. In each episode, Mouk takes young TV viewers to new countries, to discover a local tradition, a geographic curiosity, a culinary speciality... Climb up behind their bike and discover with them this realistic, modern and colourful world.